We know how hard all the Moms out there work and we want to show you our appreciation! 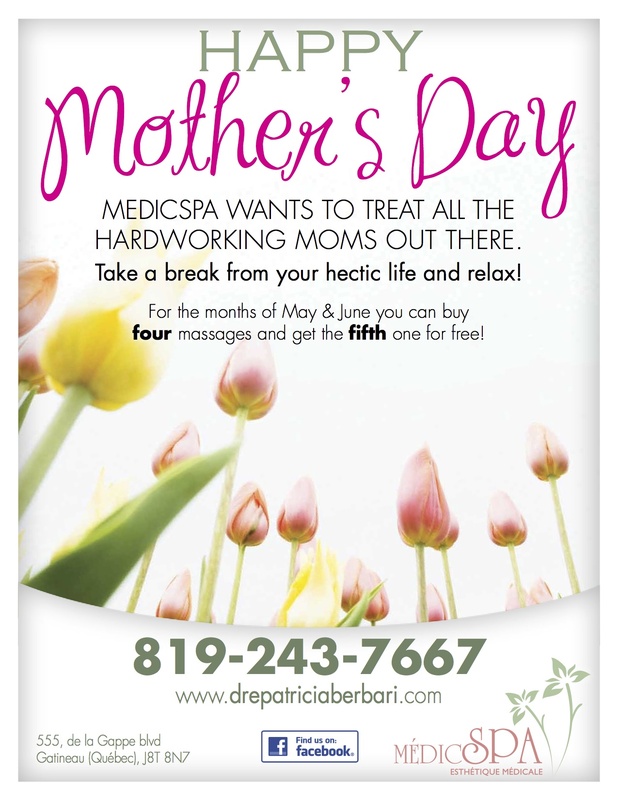 Come into MedicSPA for four massages in May & June and we'll give you the fifth one for free! Lift your spirits from this grey weather and relax in the comfort of MedicSPA!